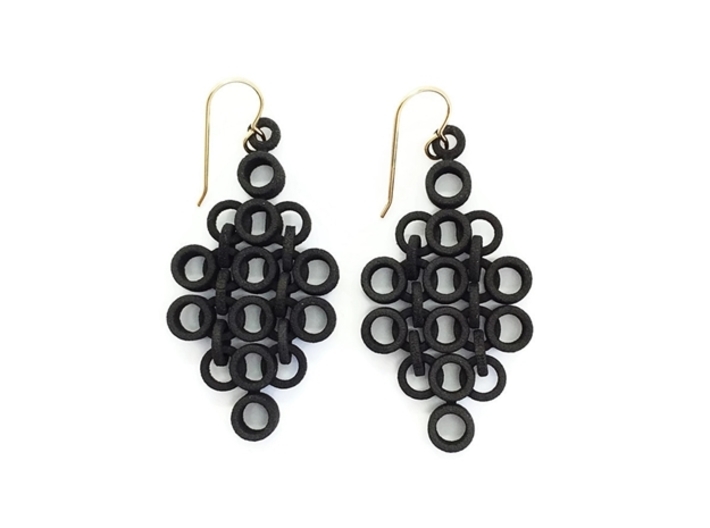 These geometric statement earrings have a chainmaille appearance and wonderful movement, which is achieved by connecting each row of circles to the row above and below with individual rings. 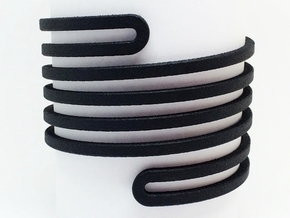 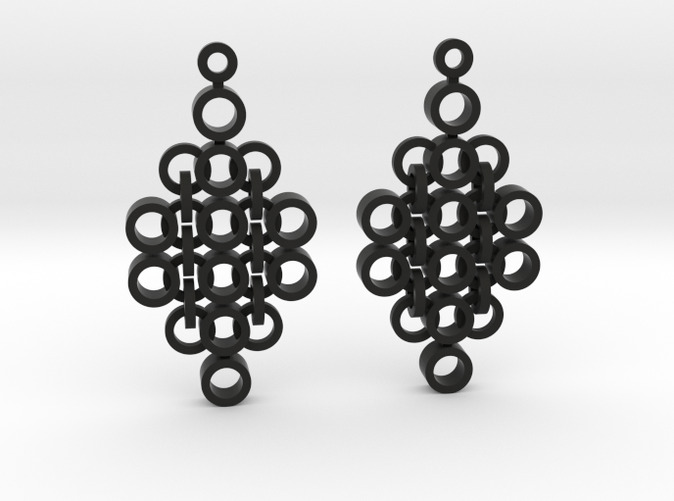 The earrings are designed and printed in one interlocking piece, not assembled post-printing, which is one of the fun things about using this technology for creating new jewelry designs. 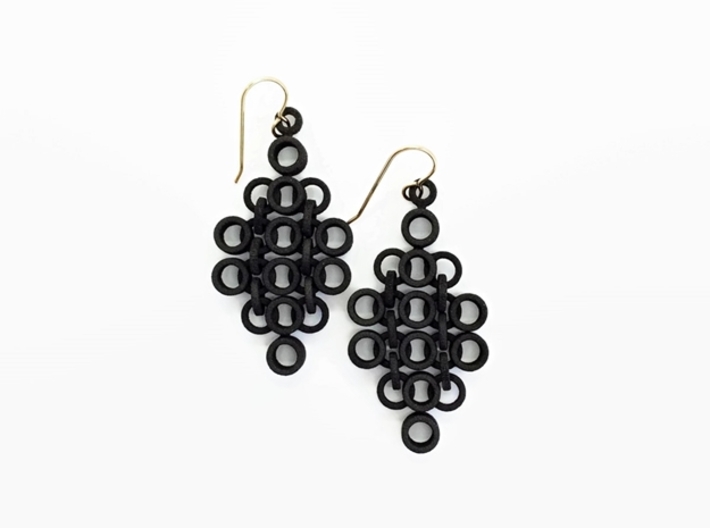 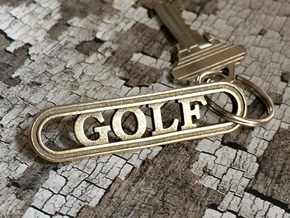 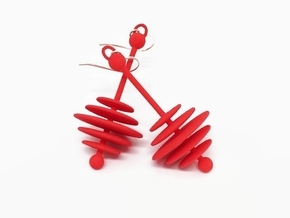 Currently, Shapeways does not ship these earrings with wires but if you message me with your address, I will mail you a pair. 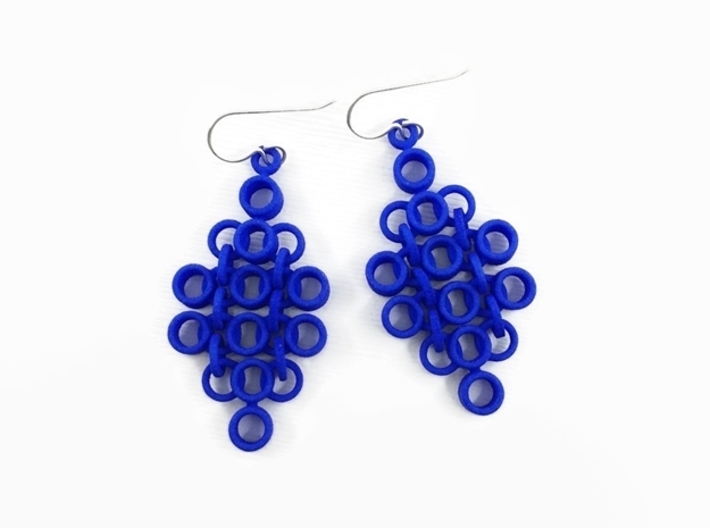 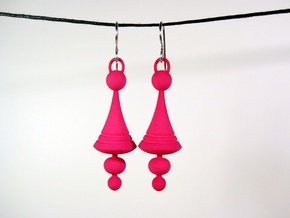 Or, you can order these Statement Earrings from my Etsy shop for 3D printed jewelry, where they are shipped in a gift box and with earring wires attached.